LIMIT 4 PER ORDER ! 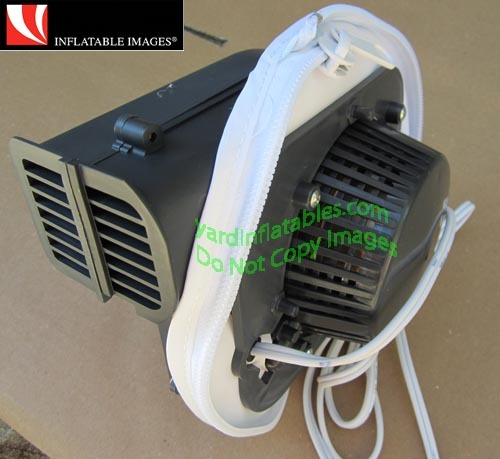 Inflatable Images Replacement Fan For Inflatable Bubba's Or Tiny's! This Brand New Fan will come ATTACHED to brand new random inflatable. All you have to do is unzip it, and zip it onto yours! The inflatable packed around the fan is excellent cushioning for shipping! Just discard the inflatable or use it for whatever you like! For use with Bubba or Tiny Football inflatables and Mascots made by Inflatable Images. 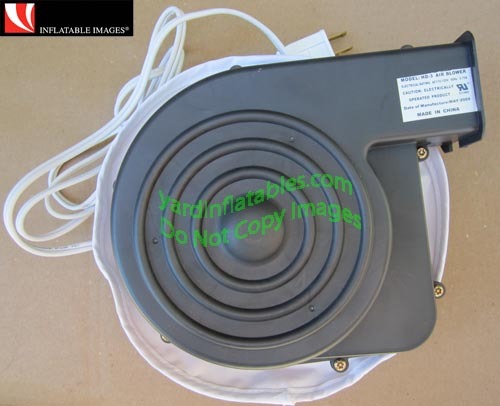 This fan is mounted using a zipper (As shown in picture). It is Up to you to check the specifications on your fan to see if it is a match ! There will be no returns for a fan that does not fit or have enough power!! Other specifications are on the pictures.